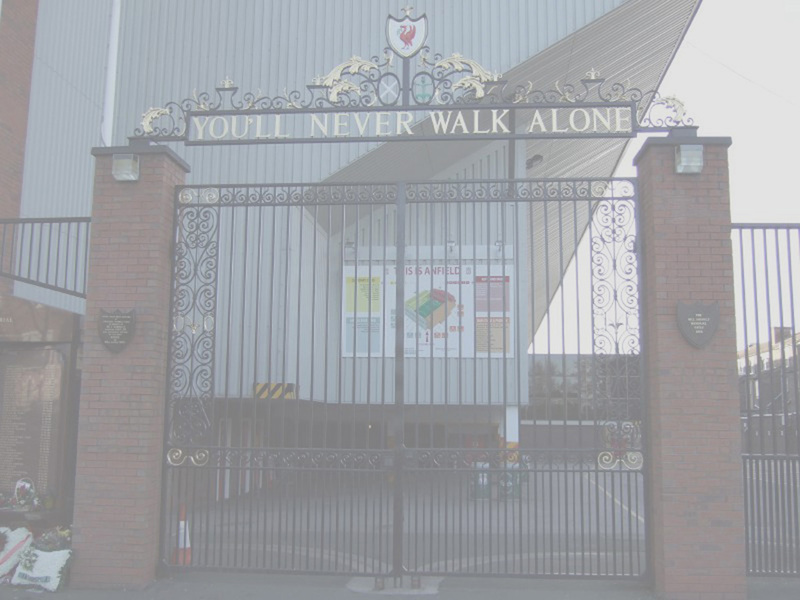 This home shirt was used by Liverpool in season 1993-1994 and 1994-1995. This home shirt is characterised by three slanted parallel white stripes on each side in front which leads to the nick-name of "ribs" shirt. There are no long sleeved replicas produced for this shirt. There were two versions existed - the one with small Carlsberg sponsor (size is exactly the same as replicas) and the one with big Carlsberg sponsor. 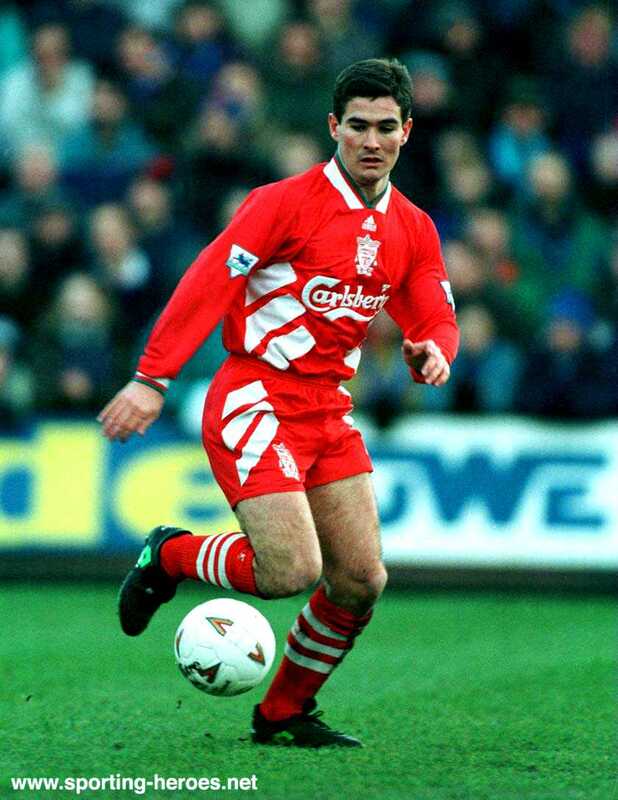 Featured Nigel Clough wearing the 1993-1995 home player shirt with big Carlsberg sposnor. 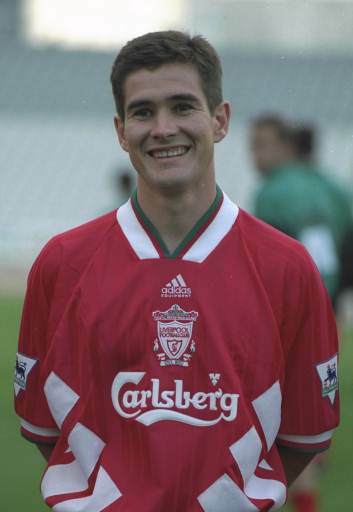 Featured Nigel Clough wearing the 1993-1995 home player shirt with small Carlsberg sposnor. 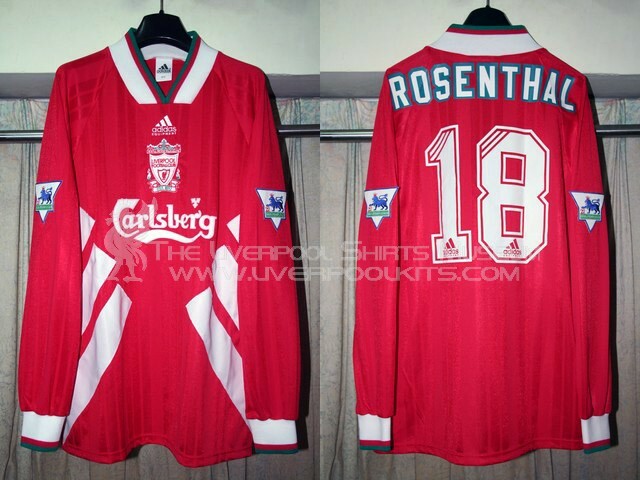 1993-1995 Liverpool Home Player Shirt - Number 18 shirt belongs to Ronny Rosenthal. Note this is the small Carlsberg sponsor version. So what is meant by big Carlsberg and what is meant by small Carlsberg? A small Carlsberg version home player shirt has a same size Carlsberg sponsor logo when placed inline with the replica shirt. 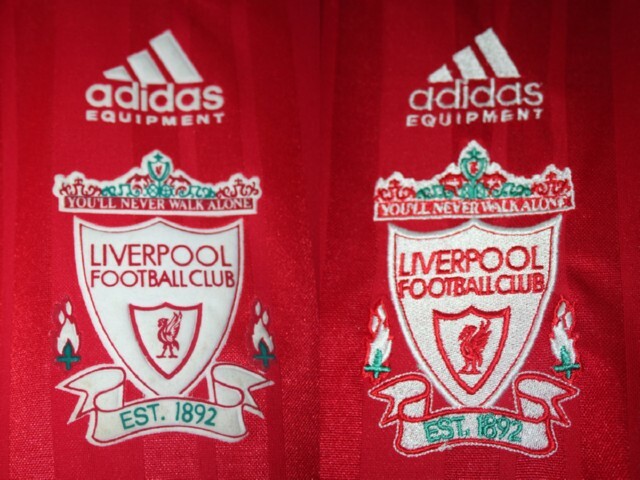 As seen above, the left side is a standard official replica shirt and the right side is the small Carlsberg version home player shirt. A standard home replica shirt has rubber embossed Adidas motif and club crest. 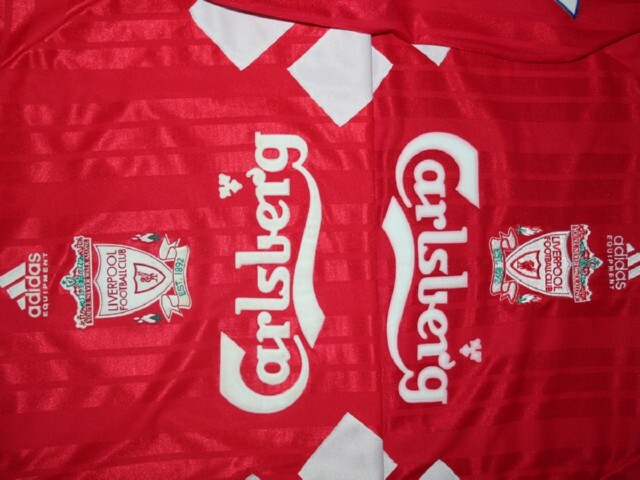 A genuine home player shirt (small Carlsberg version) has embroidered Adidas motif and club crest. Note there is NO circled-R (copyright registered mark) next to the words Adidas Equipment on the small Carslberg version player shirt.